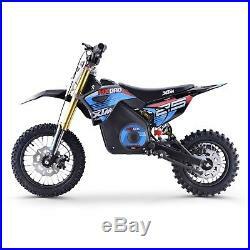 Brand New XTREME TOYS 2018 XTM MX-PRO Electric 1000w Dirtbike! 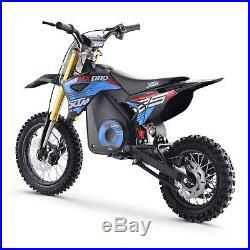 This listing is for a Blue Brand New MX-PRO Dirt Bike, for different colours please see our other listings, Blue, Red, Orange, Green. The bike is our latest 2019 Model, Big Brother to our 36v 500w Pro-Rider Model. Comes in the Box with Battery, Charger, Instructions and Tools! 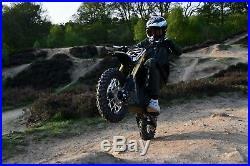 Watch our MXPRO 1100W Video on Xtreme Toys website! The biggest and best Electric Bike on the Net! PRE-ORDER ESTIMATED EARLY DECEMBER, JUST IN TIME FOR CHRISTMAS! We are now taking pre-orders on this popular model, secure yours today and receive in early December! 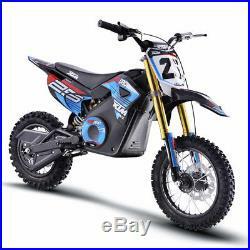 The New 36V XTM MX-PRO 1000w Electric Dirtbike with Lead batteries is the Ultimate kids toy. Just launched for 2019, the model is bigger and better than any other electric bike available of its kind. Gear ratio which is designed for all off-road terrains, including flat and gradient ground, making it the perfect next step up bike. 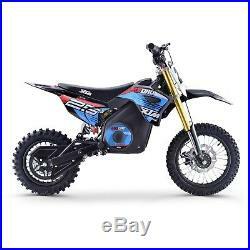 The Electric XTM MX-PRO Dirt Bike is Powered by a whopping 1000-watt motor and 36V Lead batteries. This top of the range model reaches speeds of up to 24kph very quietly with no noise or pollution. With front hydraulic inverted forks and rear mono shock suspension to deliver a smooth ride. It also features a full response, speed and motor power all controlled by 3 separate dials located under the tank cover. This model also comes with an easy to read battery indicator level. Realistic battery and Engine cover! Not easy telling the difference with this and the petrol model. With its twist throttle and front/ rear disc brakes the bike has a very responsive acceleration and stopping distance, and to add further to this bikes realism and authenticity the bike comes with large 12 Wheels and knobbly tyres. 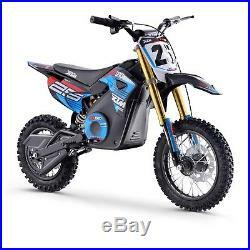 This bike is the ultimate off-road toy, with a range of 20km (12 miles) approx per charge suitable for all ages with a maximum rider weight of 65kg. Please note It is always Parents discretion for the age of the rider. All bikes are Brand New in the Box, come complete with Instruction Manual, Battery Charger and Tool Kit. 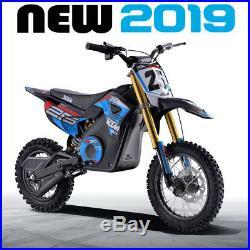 Brand New Electric Dirt Bike Model for 2019. 12'' Front and 10'' rear off road knobbly tyres. 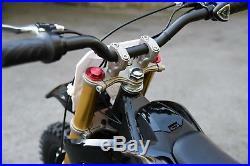 Hand operated front and rear disc brake. Speed / Power / Throttle Response Settings! Battery has a range of up to 20km (depending on terrain and weight). Top speed: 24kph (can be restricted). Speed - Fully Controllable 8km - 24kph Range - Up to 20 KM Weight. 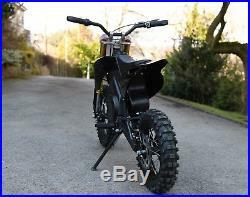 Electric 1000w Dirt Bike Dimensions Length: 1330mm Width: 640mm Seat Height: 620mm Handle Bar Height: 865mm. Please see our other listings for other colours... All bikes come in the Box, come complete with Instruction Manual, Battery Charger and tools. Outdoor off road products for over 14 years! One of the longest serving companies offering amazing Boys and Girls Ultimate adventure Toys. 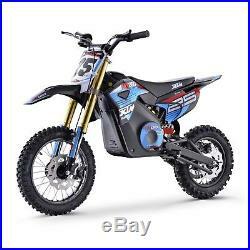 The item "XTREME MXPRO New Electric Dirt Bike Childs / Kids Motorbike 2019 Model 1000W" is in sale since Friday, November 16, 2018. This item is in the category "Toys & Games\Outdoor Toys & Activities\Ride-on Cars\Electric & Battery Powered". 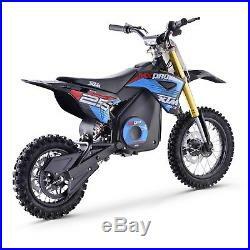 The seller is "xtreme-toy-shop" and is located in Leeds, West Yorkshire. This item can be shipped to United Kingdom.